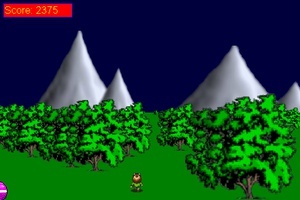 In Tree Obviator, you control a person running through the woods, which you see in a three-dimensional perspective. 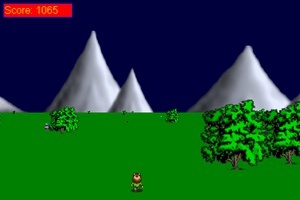 As you run through the woods, you will find bonuses which you can collect to increase your points, slow down or speed up the game, and even destroy all the trees currently on the screen. The game goes on forever until you hit a tree.